Neurotransmitters are endogenous chemicals that enable communication within the nervous system and between the nervous system and the rest of the body. They relay information between individual neurons, and ultimately regulate a wide range of bodily functions. There are various classes of neurotransmitters, with different functions and mechanisms of action. Neurotransmitter levels and function are crucial to maintaining homeostasis, and if altered can lead to diseases. From a neuron to a target gland. The dendrite, or post-synaptic side, receiving the information. There is generally a low level baseline level of neurotransmitter release that occurs without any need for stimulation. However, the amount released is increased in response to threshold action potentials. 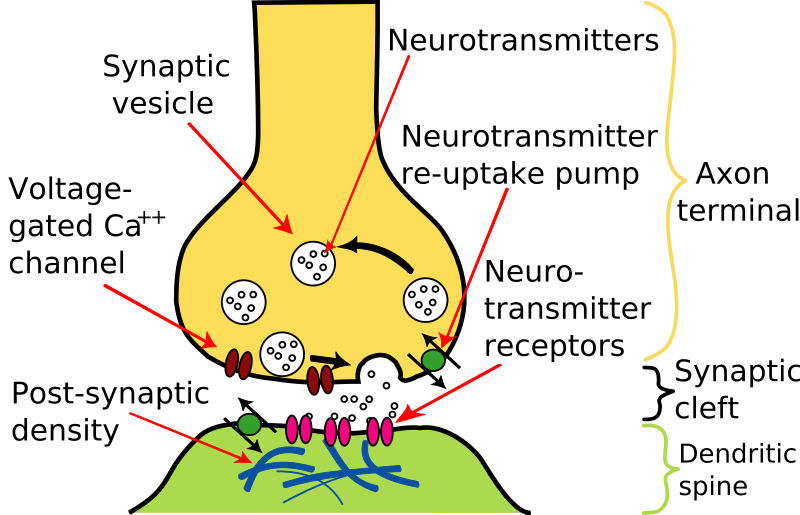 Binding of neurotransmitters to the post-synaptic neuron then results in either excitation or inhibition depending on which is released and the receptor it binds to. Some neurotransmitters also have a neuromodulatory action. These can act on large numbers of neurons at once and are involved in larger scale regulation of groups of neurons. This process takes place over a much slower time course than excitatory and inhibitory transmission however. Fig 1 – Diagram showing the basic model of neurotransmission. There are hundreds of neurotransmitters, but they can be grouped into classes depending on their structure, or function. Excitatory neurotransmitters increase electrical excitability on the post-synaptic side through modulation of the trans-membrane ion flow to facilitate transmission of an action potential. Inhibitory neurotransmitters decrease electrical excitability on the post-synaptic side to prevent propagation of an action potential. It is thought to have an essential role in learning and memory, particularly in the process of long-term potentiation. Fig 2 – The chemical structure of glutamate. Because it is present in so many different areas of the body ACh plays a role in many different processes, including stimulation of muscles at the NMJ; arousal; attention; digestion and salivation. Fig 3 – The chemical structure of Acetylcholine. GABA has both rapid inhibitory effects when binding to post-synaptic receptors and slower inhibition via neuromodulation at pre-synaptic receptors. It is involved in many different processes in the brain, such as regulating neuronal activity; anxiety and sleep. Fig 3 – The chemical structure of GABA. Glycine is an amino acid which is used at the majority of inhibitory synapses in the spinal cord and brainstem. It binds to ionotropic receptors which are permeable to chloride and bicarbonate ions. 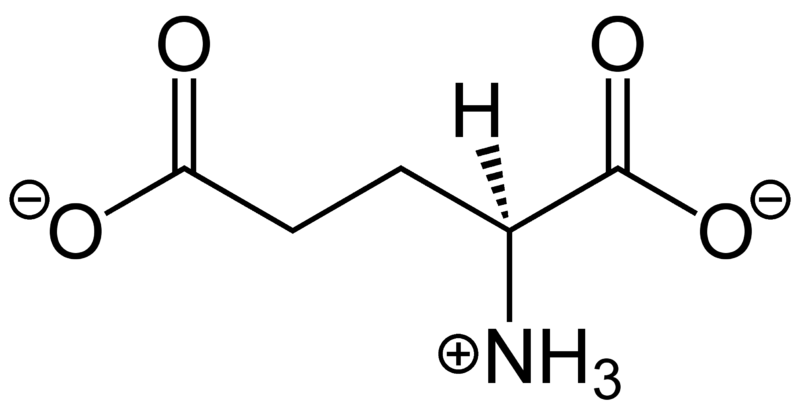 As an inhibitory neurotransmitter glycine is important in many motor and sensory functions, such as reciprocal inhibition of antagonistic muscles in spinal reflexes. Glycine also has an excitatory role within the CNS as it is a co-agonist at glutamatergic NMDA receptors. 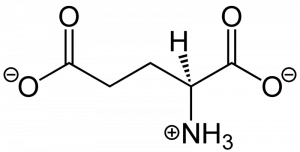 Fig 4 – The chemical structure of glycine. Benzodiazepines are a class of drugs typically prescribed for their anxiolytic and sedative properties. Examples include; chlordiazepoxide; clonazepam; diazepam and lorazepam. They do not act directly on receptors but instead bind allosterically to GABA receptors. This results in an increased probability of the channel opening and potentiation of GABAergic neurotransmission within the brain. Benzodiazepines are prescribed for a variety of conditions, such as insomnia, anxiety disorders, seizures and alcohol withdrawal. However, they can have a number of adverse effects including memory loss; increased likelihood of falls in the elderly and nausea. They also have the potential to be addictive and so are generally only prescribed for short term use. Fig 5 – Diagram showing the GABA A receptor, with the binding site of benzodiazepines highlighted.